Are you tired of replacing your wooden business signs every four or five years? Using closed-cell composite PVC sign blanks ensures that your sign will be as long-lasting as your business. You can change all of that by investing in PVC sign blanks. PVC signs are made of cellular PVC, which is a non-porous material that resists water and moisture. This means that the signs are virtually weather proof. Unlike wooden signs, these sign blanks won’t rot or swell, and they won’t crack or crumble because of elemental damage. They are similar in weight and consistency to pine, which lends a classic feel to the sign while inviting modern protection. In addition, the sign blanks can be used with vinyl lettering, which is also weather resistant and versatile. Best of all, there are several blank designs to choose from. Let’s take a look at what some of your choices are. 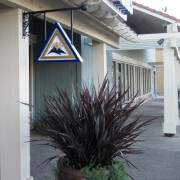 Adding a bullnose detail (rounded edge) gives your sign a polished, finished look. 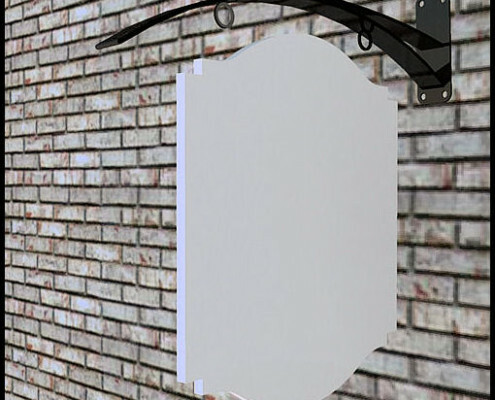 Rectangular Sign Blanks – These cellular PVC blanks are easy mount, standard rectangular signs. They are very simple, but also exude a feeling of “no-nonsense” business professionalism. Either hung from a ceiling or a wall mount, they come in different sizes and thicknesses to suit any choosy consumer. You can find them in 26x13in, 36x18in, or 46x23in rectangular signs. You can choose either square edged or rounded rectangular PVC sign blanks. 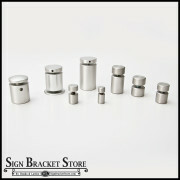 Cottage Style Sign Blanks – Cottage style sign blanks are the epitome of classic design. You would expect to see this style of sign on perhaps a bed and breakfast or “Ye Olde Inn.” They have a straight edge on the sides. The corners of the sides cut in and then have a rounded top and bottom, although you can choose to have a bullnose edge on the 1” sign. They come in various sizes and thicknesses as well, the largest being 31x36in. These PVC signs will add a nostalgic look and feel to any business. 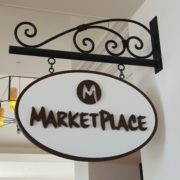 Oval Premier Blank Signs – These signs are perfect for boutiques and bakeries, or little shops that want to stand out with a romantic feel. Combine that style with an ornate wall mount sign bracket and carefully chosen lettering style and you’ve got a sign that will draw customers in from the streets on its own. The lowest cost of the oval sign blanks is around sixty dollars, although there are larger sizes to choose from that could well suit your needs. There are more sign styles to choose from of course, but these stand out as some of our most popular sign shapes. 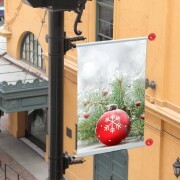 These sign blanks are a great investment for any business that wants classy advertising at a low cost. 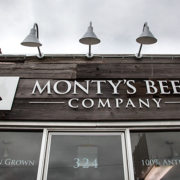 They look great with vinyl lettering and will last for a very long time – their cellular structure prevents water damage and the durability of the sign prevents any damage from wind, snow, sleet, or hail. Whether hanging from a wall bracket or from a ceiling mount, these simple signs are an excellent venture for anyone looking to advertise their business outdoors on a long term basis. 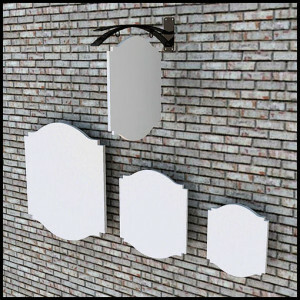 Shop PVC Sign Blanks – Wholesale inquires accepted. I live in a historic street and we want to buy a wrought iron sign to place on a corner house. . Would a 4 foot post above ground and a 30 inch oval sign be appropriate or does it need to be higher than the 4 ft.? Most sign shops and real estate companies who install our single post systems opt to leave about 6′ above ground so the sign is hanging level with most people’s line of sight. While 4′ above ground and a sign 30″H or shorter wouldn’t be an issue per se, it will probably be more noticeable and less likely to be damaged accidentally if it was hung a little bit higher up.